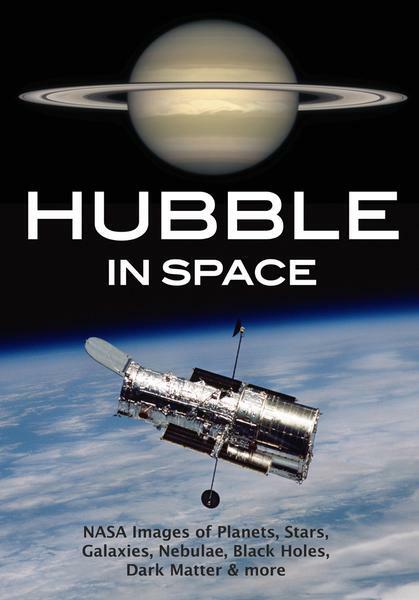 Amherst Media, "Hubble in Space: NASA Images of Planets, Stars, Galaxies, Nebulae, Black Holes, Dark Matter, and More"
Hubble in Space is a book of images from the Hubble telescope curated and edited by Beth Alesse who works in Los Angeles, California. The images were collected using space-based instruments of the Hubble telescope from 1990 to 2017, many in combination with data from numerous other telescopes and instruments. This amazing selection contains new images of space and classic Hubble favorites. All the major players of space are represented in this colorful array of images: planets, moons, comets, exoplanets, solar systems, stars, supernovas, the Milky Way, galaxies, black holes, nebulae, and more. Experience the near and far of our universe, evidence of its primordial beginnings, its vastness, and a great variety of evidence of stellar and galactic evolution through these awe-inspiring colorful images.